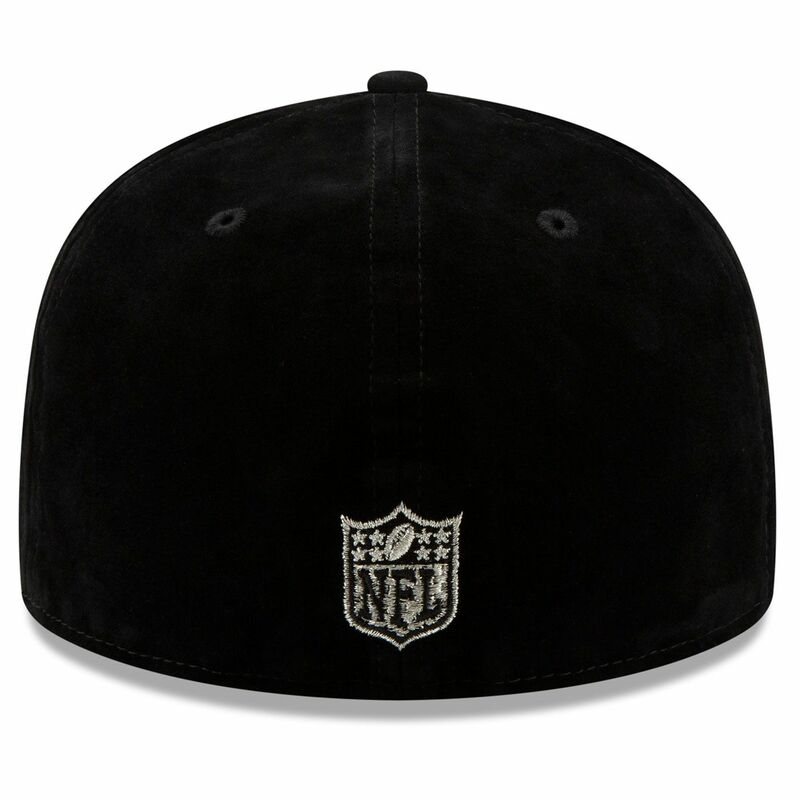 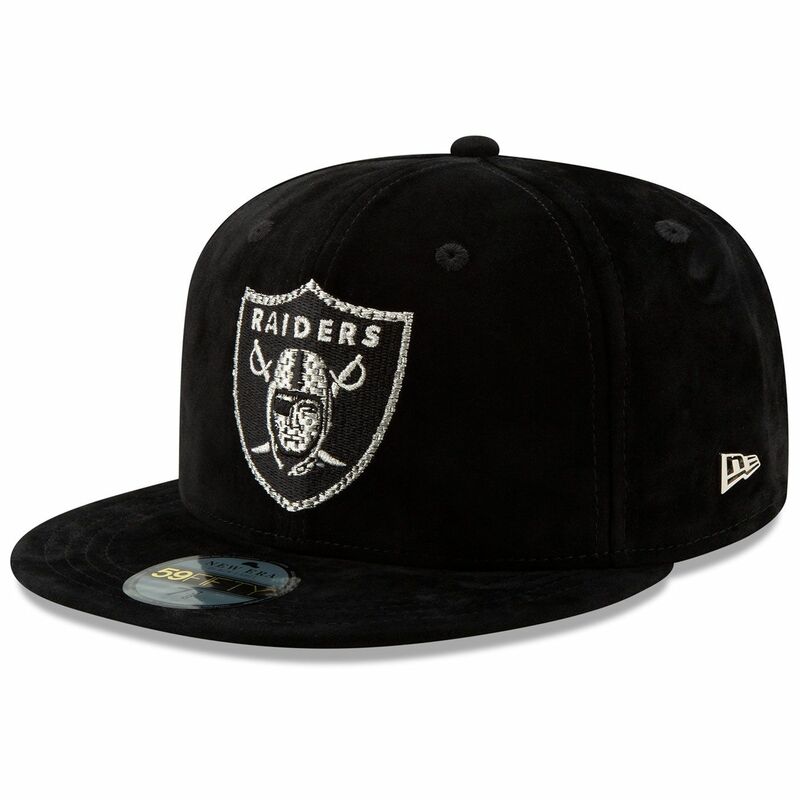 Combine your style with your love for the Raiders in the Raiders New Era 59Fifty Black Label Vivid Velvet Black Cap! 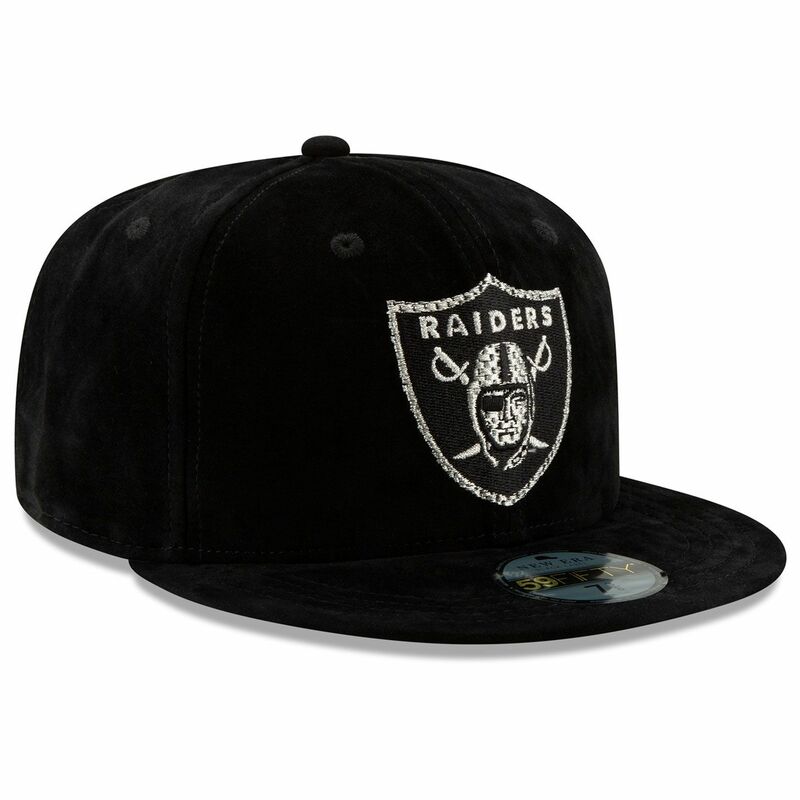 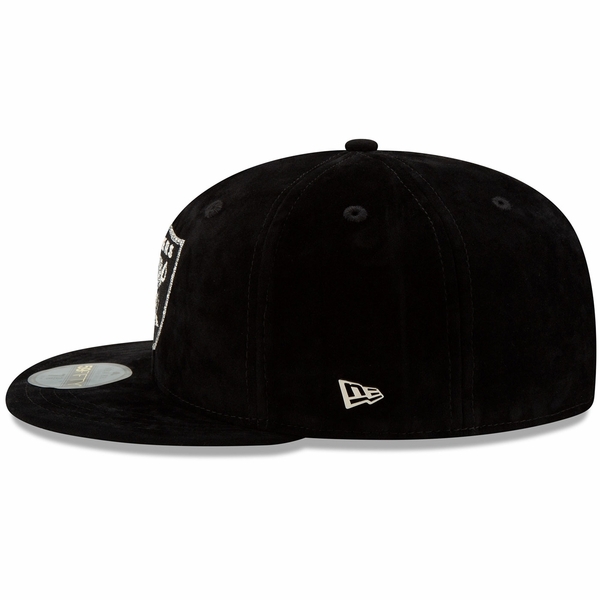 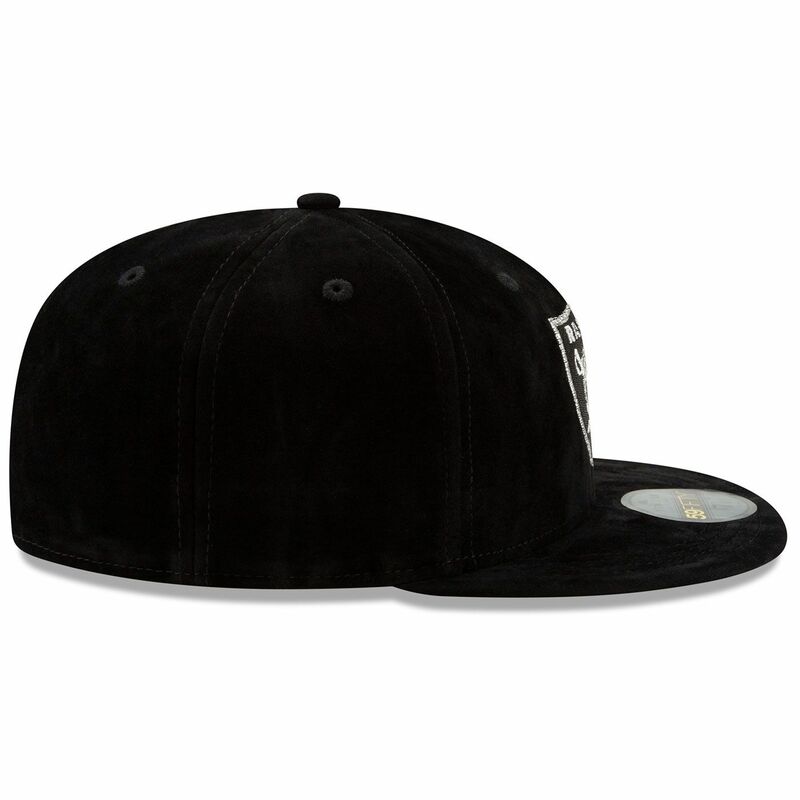 This premium cap features a silver, brick stitched Raiders� shield logo embroidered onto the front, over velvet fabrication. 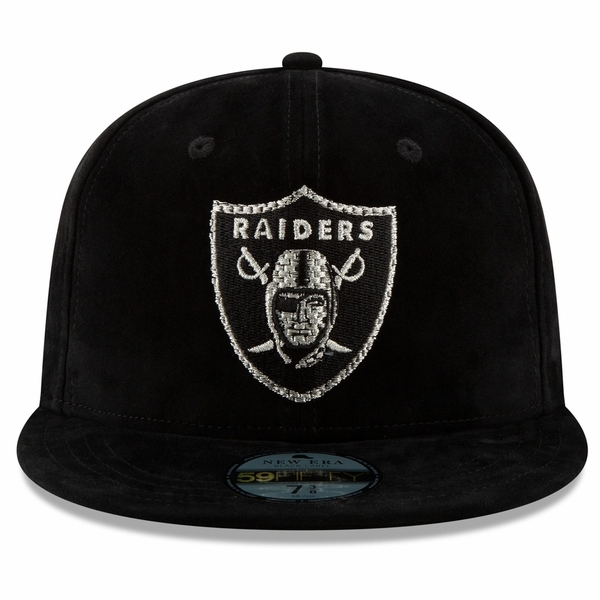 80% polyester, 20% viscose.